of the tea party folks are adamant against this military action as are most people in general. 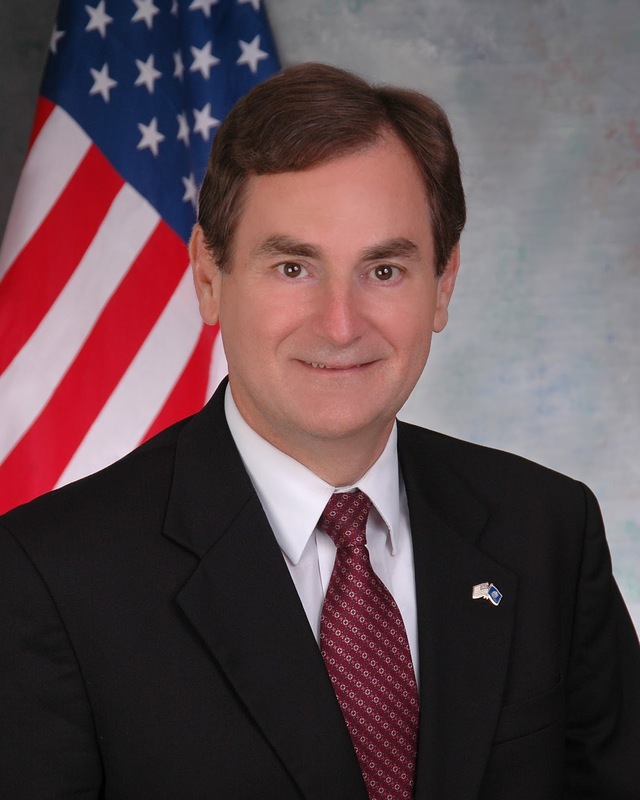 Mourdock has effectively boxed into a corner incumbent 8th District Congressman Larry Buschon. If Buschon supports intervention, he stands the chance of alienating a lot of people in his district. What's more, Mourdock cleverly spun his statement to make it say that most of his opposition had to do with opposition to President Obama. So even if confronted with pro-Syrian intervention Republican voters (which I'm not convinced there are a lot of), he can pin the blame on Obama. Say what you want about Mourdock, the man knows how to win primaries. The very best part of this development though is I get to hear far left-winger Mark Small say "I agree with Richard Mourdock..." I plan to extract that part of the quote and use it to shellize Mark at all future joint appearances. I believe the United States of America is that “Shining City on a Hill” and we shine best when we free those suffering under tyranny. I supported the onset of our operations in Iraq and Afghanistan and have spent many hours praying for nieces and nephews who were deployed there. I believe we did the right thing. I stated last year, as the Syrian conflict escalated we had to have better intelligence as to who the opposition was so we could be positioned to be involved. We should have helped shaped events in Syria long before now. One year later, Barack Obama has changed my thinking on Syrian involvement. Barack Obama has not caused me to doubt our military’s ability to change the outcome of a Syrian civil war but the Commander-and-Chief is totally flippant in using our might for the cause of peace and freedom. He is not serious about a deadly serious issue. Barack Obama, winner of a Nobel Peace Prize, drew a “redline” that Assad could not cross. When Assad crossed it Obama did nothing, said nothing. Emboldened by the silence, Assad gassed 1400 more of his people. Then Obama’s reaction was to say that he didn’t draw the “redline” but the civilized world did. Seriously? Where are those nations today, Mr. President?? Did you organize a new community? The Coalition of the Silent? Barack Obama said crossing the “redline” would bring a response and he was ready to act. Then, not-so-old videos surfaced of Senator Biden saying he would impeach a president who didn’t receive Congressional approval before taking military action so Obama changed his mind. Now we’re told the president is “resolute” but remains prepared to act if Congress doesn’t give approval. Huh? Really? Barack Obama apparently didn’t know that before you rally the Congress to war you must first rally the people. Reading from the tele-prompters he warned us of the grave threat to our national security if we don’t act and then left the podium ….. to play another round of golf. RUKM???? Barack Obama sent John Kerry to Congress to seek permission to do what he said he didn’t need permission to do and to promise in writing, not to do it too much of it for too long. Barack Obama’s weakness, vacillation, indifference and dedication to his golf game, have brought us to the place where a minor skirmish could become the face-off circle for the United States and Russia and Iran. Putin’s announcement of installing a missile shield in Syria came not because he sees strength in Barack Obama that he must stare down but because he sees weakness he can take advantage of. The former head of the KGB knows backbone isn’t demonstrated by floundering. Putin sees our president’s lack of seriousness. Barack Obama is not serious. We cannot entrust a Commander-in-Chief with a military strike resolution if he cannot be taken seriously. If Assad, Putin, Iran and the rest of the world are not taking Barack Obama seriously, how can we? More to the moment, why should Congress? Buschon has already announced he will vote against the Syrian resolution. But what did Buschon actually say? "They should have had the military ready and, when it was clear (Assad) used chemical weapons, immediately reacted. And (Obama) didn’t,” the second-term congressman said. He just wanted the U.S. to attack Syria sooner.